What Is the Difference Between a Conventional Mortgage & a Portfolio Mortgage Loan? All of your non-mortgage debts are paid off, your credit score is on total lockdown, and you even know all about the 28/36 rule – where your monthly mortgage payment doesn't exceed 28 percent of your gross income, and your total debt payments don't exceed 36 percent. You've got this. Then you're hit with a wall of options: conforming loans, non-conforming loans, sub-prime loans, jumbo loans – a menu of mortgage loans bigger than the biggest fast food menu you've ever seen. Before you lose your mortgage mojo in a sea of jargon, settle in and make sure you know the difference between conventional mortgages and portfolio mortgages. 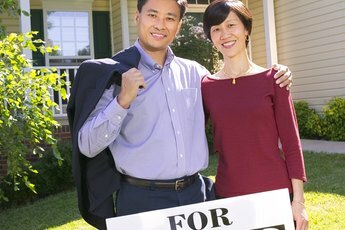 Knowing which type of loan is right for you and your home can make the next 30 years a whole lot easier. Conventional mortgages must meet certain guidelines that government-sponsored banks set out and have interest rates varying with market changes. In contrast, portfolio mortgages are not held to the same standards and can make it easier for people without strong credit to qualify to get a loan. While conventional mortgage loans aren't formally backed by government organizations like the Federal Housing Administration or the United States Department of Agriculture, most conventional loans conform to the guidelines put forth by the government-sponsored banking organizations Fannie Mae and Freddie Mac, in which these two enterprises buy mortgages from lenders and sell them to investors. That's why they're often called "conforming loans." Conventional mortgage loans most often span 15- to 30-year terms, with shorter terms requiring higher payments. Rates for conventional mortgages are based on mortgage-backed securities; because these securities are traded like stock, the loan rate changes frequently based on the state of the market. Portfolio mortgages offer an alternative source of funding for borrowers. With this type of loan, the bank sells assets on a secondary market, which are bought up by enterprises like Fannie Mae and Freddie Mac. Essentially, the bank sells loans to generate new capital, allowing it to offer additional mortgages. Unlike conventional mortgages, portfolio mortgages are not beholden to the standards set by those aforementioned government-backed banking institutions. This allows lenders to expand their loan offerings to borrowers who may not fit the typical profile of conventional-mortgage borrowers. 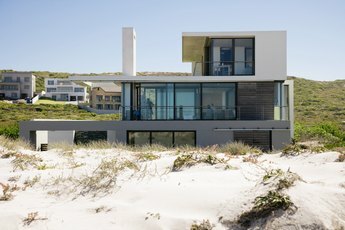 In terms of logistics for the borrower, portfolio mortgages commonly include prepayment penalties and higher rates than conventional mortgages, as they pose a greater risk to the lender. 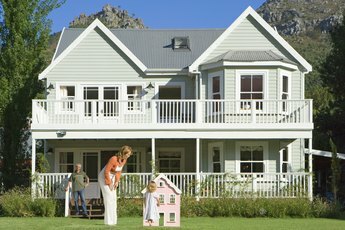 As a general rule of thumb, conventional mortgage loans cater especially well to first-time borrowers, particularly those with strong credit (scored at around 720) and the ability to make a solid down payment (though, despite popular belief, you don't actually need a 20 percent down payment for a conventional loan). They also work well for borrowers in need of shorter-term loans with the option for adjustable rates, in which homeowners pay a significantly reduced amount of interest for the first three to seven years of the mortgage's term. If you come close to meeting the credit standards required for conventional loans but aren't quite there yet, a portfolio mortgage may be your ticket to becoming a homeowner. Even if your credit is less than ideal, borrowers are often more likely to receive portfolio loans than conventional loans, provided they have the equity or down payment. Because the bank determines the qualification criteria, qualifying may be more flexible compared to a conventional mortgage, whether your down payment is on the low side, or your debt-to-income ratio isn't the best on paper. 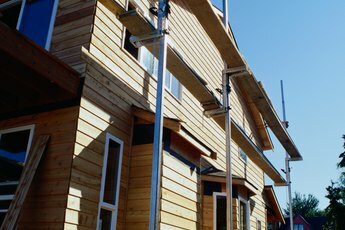 Portfolio loans also help borrowers access mortgage loans for unique properties, such as condos, commercially zoned property or nontraditional dwellings, which often exist outside of traditional government housing guidelines.